As many of you know, GetGlue.com has become quite the popular social media tool for promoting new and returning television series. 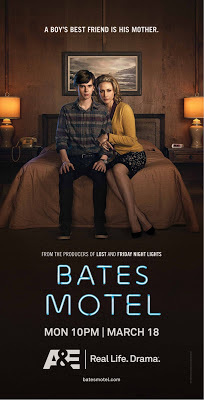 Recently, the new A&E series Bates Motel, a modern-day reimagining of the story of a teenage Norman Bates (Freddie Highmore) and his infamous mother Norma (Vera Farmiga), teamed up with Glue to promote the series premiere on March 18th by creating an interactive website that we at BeyondFandom just explored. The site which can be found Here puts you on a virtual tour of Bates Motel itself. 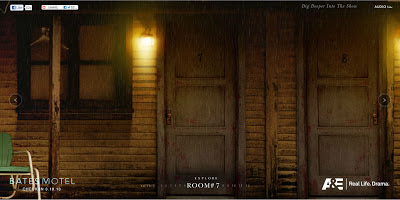 As you walk along to each new door you can click on the door and load a new teasing look at the series. After having 'checked into' a room and viewing the clip within you then are given the chance to unlock a corresponding sticker at a link for a GetGlue app. It's great that the stickers are actually representations of what you just watched--a really great way to keep certain scenes in people's minds over the next month. 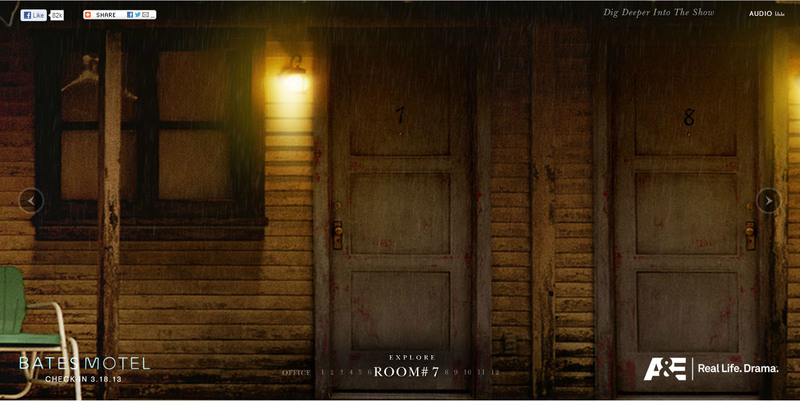 Once all twelve doors have been explored, the site directs you to the motel office where you can unlock the chance to see a fairly sizable clip that spans for a couple of minutes and is comprised of different scenes that further give you a chance to see the incredibly unhealthy relationship between mother and son as well as the violent tendencies that young Norman already harbors. All you have to do is share the site via Twitter or Facebook and walk back through the 12th door in order unlock the clip. 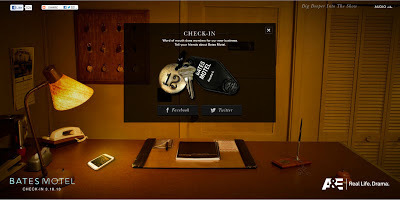 Pretty standard stuff for these kinds of sites but it is kinda cool that your name winds up on a Bates Motel key as we see above when I tried it out. It's hard not to make a comparison of this promotional tactic to the one used by American Horror Story before season one debuted with their interactive version of Murder House over at youregoingtodieinthere.com--an element of that particular show that was definitely missed for the Asylum arc. But the comparison should be flattering for Bates Motel because it's a good thing if what they're serving us so far can bring something like AHS to mind at all. I have a feeling that this show is going to be just as spectacular and hopefully as dark as it seems to be from the clips we've seen so far. 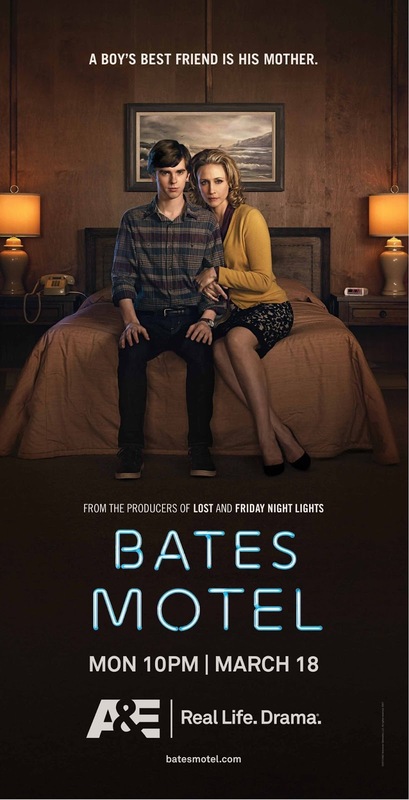 Bates Motel is definitely establishing its own visual feel and tense tone and I already can't wait to see young Norman navigate his relationship with Norma and how it becomes formative to who we all know he winds up as (despite what the producers have said about how no path is certain for the characters on this series, we all know we want to see Norman go Psycho). What about the code to use on the cell phone?